Are you sleeping well? If not, read on, as disrupted sleep can have a profound effect on your happiness, well-being, productivity, and general health. First, talk to your doctor. Your primary care provider may evaluate you for hypo or hyperthyroidism and do other blood work. Keep an updated diary to determine your wake-sleep activity for several weeks. This can be helpful to show to your doctor during an initial visit. If the cause isn't clear, your doctor will consider an overnight sleep study at a sleep center, to rule out sleep apnea or restless legs syndrome. These are important causes of sleep disruption. During a sleep study you get hooked up to multiple sensors overnight in a comfortable bed and get checked for brain wave activity, breathing, heartbeat, eye movement, and leg twitching. More recently, simple equipment can be sent home with you to collect the data from the comfort of your own home. Your doctor may prescribe certain medications including Eszopiclone (Lunesta), Ramelteon (Rozerem), Zaleplon (Sonata), Zolpidem (Ambien,) Edluar, Intermezzo, and Zolpimist. Work closely with your doctor as these prescription medicines could be habit-forming. Prescription sleeping pills have side effects, including daytime sleepiness and grogginess, and risk of falling. Discuss this with your provider. Melatonin, an over-the-counter supplement can be very effective and is inexpensive and readily available. Nonprescription sleeping pills containing antihistamines may cause drowsiness, confusion, memory problems, and difficulty urinating, which may be worse in older adults. Don't neglect personal medical issues, such as prostate enlargement, which could lead to excessive night-time bathroom trips. Cognitive behavioral therapy (CBT) can be just as effective as sleep medication. CBT trains you to recognize and change beliefs that disturb sleep. CBT is a type of talk therapy (psychotherapy). You work with a mental health counselor in a structured way, attending a limited number sessions. CBT helps you become aware of inaccurate or negative thinking so you can view challenging situations more clearly and respond to them in a more effective way. CBT can be a helpful tool in treating mental health disorders, such as depression, post-traumatic stress disorder (PTSD), or an eating disorder. Not everyone who benefits from CBT has a mental health condition. It can be an effective tool for anyone to better manage stressful situations. If you wake up in the middle of the night and your mind starts racing, get out of bed and read a magazine or calming book. 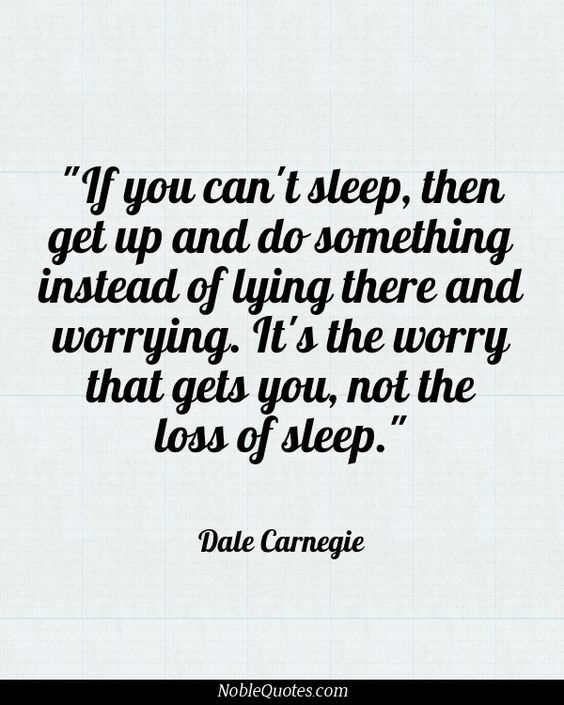 You don't want to associate lying in bed with being awake and worrying. Keep your pets out of bed as they can disturb your sleep. Get blackout curtains and keep the temperature down, as the ideal place to sleep is dark, quiet, and cool. Sound machines can be purchased to filter out noises from within your home and outside, including airplanes and sirens. It is very important to stay on a regular sleep schedule, especially so if you travel a lot for work. Exercise and activity also promote sleep. Schedule exercise at least several hours before going to bed. Do stretches and meditation in your bedroom before you go to sleep. Find ways to relax before you get in bed. A warm bath, reading, and soft music can help. Review the labels of all your over the counter medicines. You want to check the labels to determine if they have caffeine or other stimulants, such as nicotine. We're learning more and more about blue light, which comes from electronic screens such as phones, tablets, and computer screens. Get blue light filters for your screens, download the apps to decrease blue light, or get special blue-light filtering glasses (can buy online!) Even better, just limit your exposure to electronic screens to before 6pm. Nothing beats an afternoon cat-nap! But a word of caution, if you do take a mid-day nap, keep it to no more than fifteen or twenty minutes or it will disturb that night's sleep. Try not to nap after three pm. Avoid large meals or alcohol right before bedtime. A light snack of carbohydrates can help. Make your bedroom comfortable for sleep. Additional relaxation treatments can include yoga, tai-chi, and self-hypnosis. Do you have a hobby to occupy your time and put you in the "zone" or "flow"? This helps decrease anxiety. Do you have a purpose in your life? Keep up your social connections. Consider volunteering at a food bank. You learn to view life with thankfulness and appreciation. Schedule an appointment with your care provider. Bring along your medical files and get ready for the best night of sleep you've had in a while! !